Staff at the top of the industry - Aquamoves – Indoor and outdoor pools, fitness facilities and programs in Shepparton, Victoria. Aquamoves Elite Group Fitness Instructor Bec Parris has taken out the Group Exercise Instructor Award at the Aquatics and Recreation Victoria (ARV) Industry Awards, held at the Peninsula Docklands on Friday 17 June. 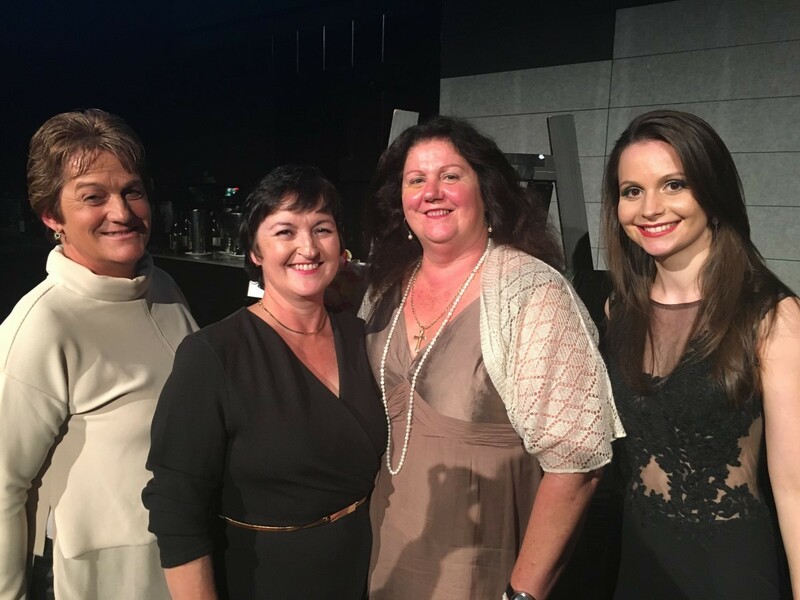 Aquamoves ARV Nominees; Debbie, Tess, Maureen and Bec at the Awards night. Bec was up against some tough competition, with 11 other fitness instructors from across the state also nominated. Bec says it's a privilege sharing her enjoyment of group fitness with her participants. "I love seeing the satisfaction on their faces when they nail a combo, or at the end of a class when sweat is pouring, but they had so much fun." "Having the ability to change a participant’s mood in an hour or 45 minute class is incredible." 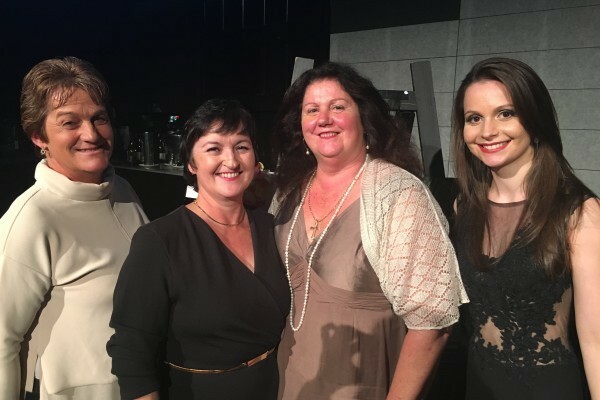 Aquamoves Centre Manager Marcus Cook says the ARV Industry Awards also provide an opportunity for Aquamoves to showcase its depth of talent.